Clunes is a small town of about 2,000 residents, approximately 90 minutes' drive from Melbourne and served by both train and bus services. It lies in the centre of a region known for its early gold mining industry, wineries, walking and cycling trails, and spectacular natural beauty. The conference will run alongside our International Booktown Festival, which attracts some 18,000 visitors to our small town over the weekend. 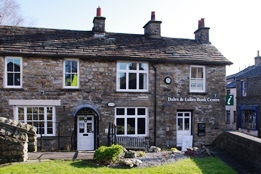 In addition to booksellers we will also be presenting author talks, performances, exhibitions (including that of the Fighting for Peace project – see below, 25th April), kids activities and rare book displays. We will be providing accommodation in Clunes for the nights of Thursday, Friday and Saturday for each delegate, plus all meals, but of course should you bring a partner, or want to stay longer – or arrive earlier – we will be able to organise that at your cost. We will also be organising side trips to local attractions in the region. We look forward to seeing many of you again after meeting you in Switzerland in 2016! The Anzacs revisited: a century of spirit and sacrifice. 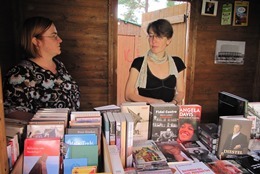 For the last twenty–four years Saint–Pierre–de–Clages has hosted its 'Fête du Livre' during the last complete weekend of August, attended by almost a hundred book sellers from the town, other regions of Switzerland, and from France, Germany, Italy and Belgium. This year they have also invited the I.O.B. 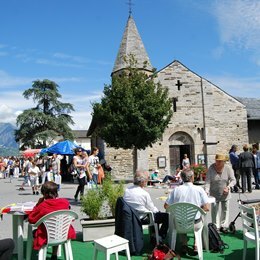 to have its tenth International Book Town Festival in the Valais/Wallis region, between the mountains and the vineyards. 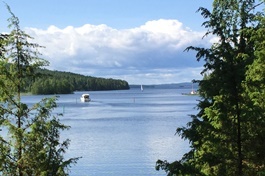 Participants will arrive on the evening of Thursday the 25th of August, and leave on Sunday the 28th. This year the 'Fête' will be held under the patronage of Monsieur Léonard Gianadda. In 1978 M. Gianadda founded the Fondation Pierre Gianadda in Martigny, a private museum with temporary art exhibitions (www.gianadda.ch). The Fondation also has permanent exhibitions divided into various areas: the Automobile Museum with its collection of cars, and the Gallo–Roman Museum which shows discoveries made during the building of the museum. During the three days of the festival one of the I.O.B. 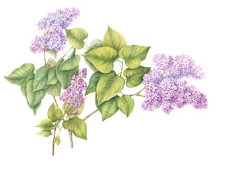 members, Anita Walsmit Sachs–Jansen, a botanical watercolourist and illustrator of scientific botanical publications, will exhibit some of her work in l'Espace Arvoisie. Anita's work has been selected for inclusion in the Highgrove Florilegium. This Florilegium was created under the umbrella of The Prince of Wales's Charitable Foundation and records, in a permanent way, the flora in the garden at Highgrove. Anita's work has also been selected for inclusion in the Transylvania Florilegium. There will be many other activities. Hans–Jörg Lehner will create a labyrinth of books. There will be a celebration of the 40th birthday of the Swiss Scrabble Federation, and meetings with book illustrators, demonstrations of calligraphy, championship orthography, workshops, literary walks, etc. On Saturday morning the I.O.B. will have its General Assembly.